Do you have a small business and you don’t know where to promote it for free? Go on Twitter. 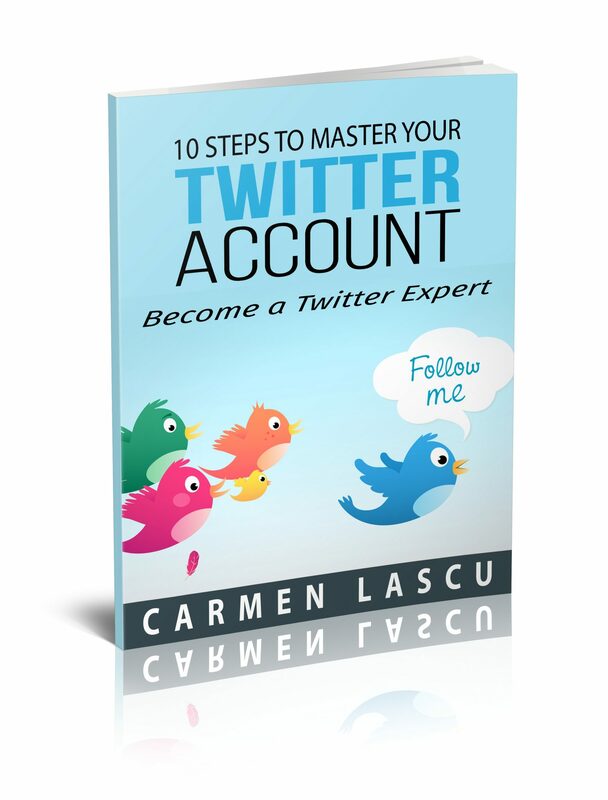 This social media platform can seem challenging for new users but help has arrived in the form of a new eBook from Carmen Lascu: 10 Steps to Master Your Twitter Account: How to Become a Twitter Expert. 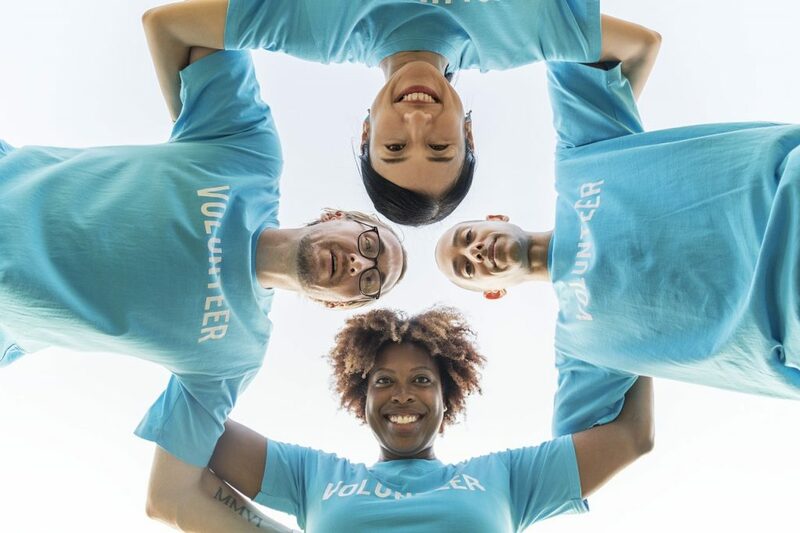 This do-it-yourself guide will help readers better understand the platform and how they can use it to strengthen and expand their brand. The eBook is based on countless hours of research and my personal experience in helping a brand new Twitter account for a start-up business to attract 1,000 followers in less than 30 days. Don’t miss out on this great opportunity to build your business as you learn the tricks to master Twitter. 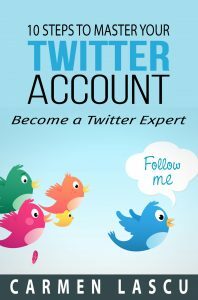 Order a copy of 10 Steps to Master Your Twitter Account: How to Become a Twitter Expert today!